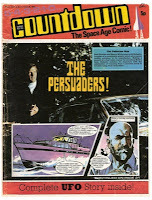 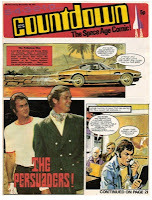 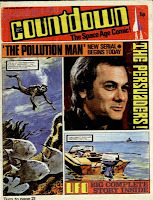 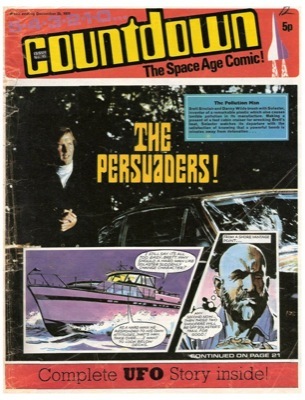 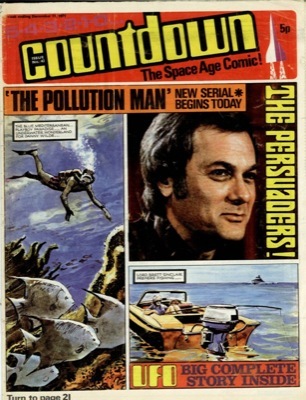 Exactly forty years ago this month, The Doctor continued to do battle in The Eternal Present, the comic strip in Countdown! 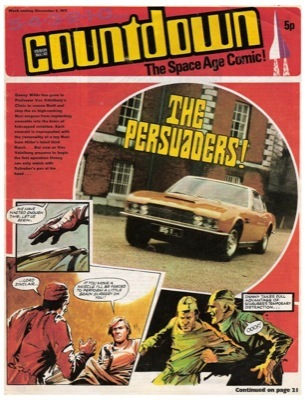 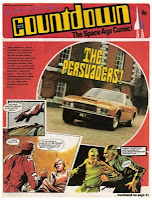 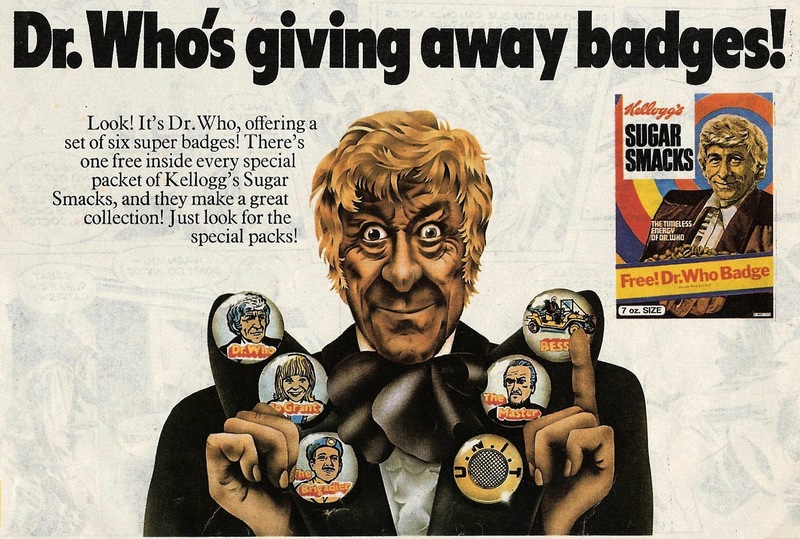 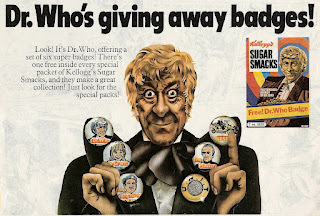 Last month I showed you a clipping of an advert for a series of badges being given away in packs of Kellogg’s Sugar Smacks. 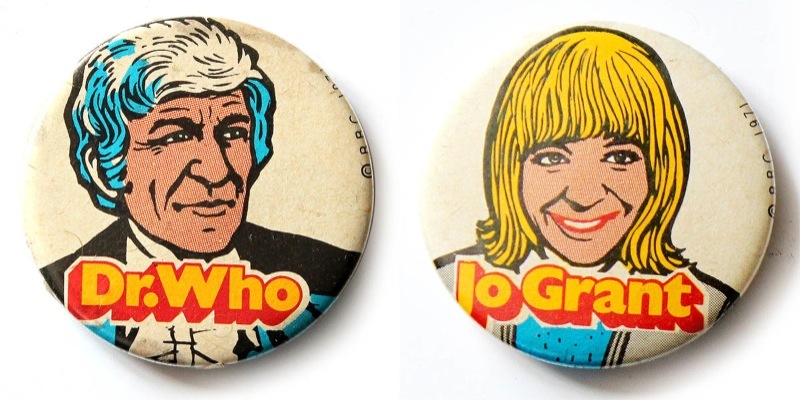 Well here is the first two of these badges: The Doctor and Jo Grant!